Kelly Khumalo and Chad Da Don engaged? Fans have been taking to social media to congratulate Kelly Khumalo on her new relationship status after she posted a picture on her social media. A few weeks ago, South African singer Kelly Khumalo joined Jane in the studio to talk about being a mom, depression and even addressed the rumours about her and South African rapper Chad Da Don. While many have been talking about her relationship with Chad, it seems that their 'relationship' has moved up another level. 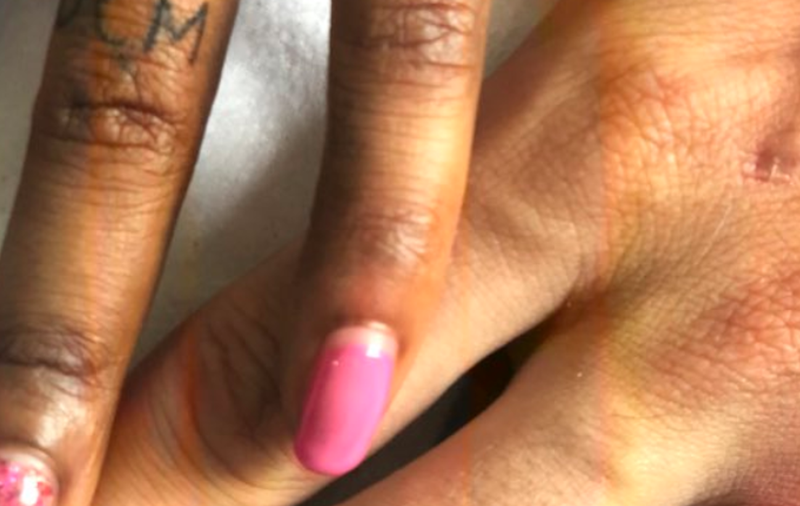 The 34-year-old took to social media to share a picture with her and Chad's ring finger both with matching tattoos and each other's initials. She captioned the image: "I sad (sic) YES #MeetTheMansoors♥️"
The picture was posted about an hour before publishing this article, and it has already started racking up the comments from her fans, who have taken to various platforms to congratulate her and bae.